Meet Bella! This girl is a doll. She is a lab mix, about a year old and weighs around 50 lbs. She was found in a box outside a bazaar in Guadalajara. Her foster describes her as "sweet, energetic, affectionate and full of love!" She plays well with other dogs and does well with cats, kids and chickens! A playmate or frequent trips to the dog park would be ideal as she loves to play. She is very shy at first and needs some help gaining confidence and coming out of her shell but once she gets to know you she is a total love and thinks she is a lap dog. She sleeps in her kennel without problems and is potty trained. 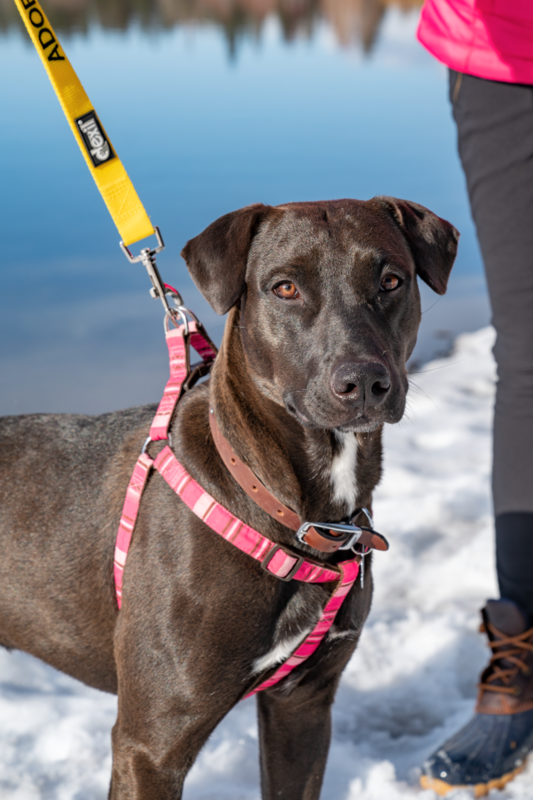 Bella is currently being fostered in Bend, OR. Will you be her hero?